Leak testing is a quality control process used to identify defects within a production process in order to prove the integrity of a manufacturing system or product. Leak testing is typically used to detect small leaks in products including, but not limited to: valves, manifolds, high purity piping, hydraulic lines, storage tanks, and more. Helium leak detection is important when using a high pressure or vacuum system to ensure the system or device is leak free. Helium Leak Detection is the best way to check for leaks because Helium is one of the lightest and smallest molecules and will find its way out of the smallest leaks. Only hydrogen has a smaller or lighter molecule weight, but it is flammable and more expensive and, thus, not a good option for this type of testing. Helium is nontoxic, inert, inflammable, and non reactive, making it very safe to use. It is also easily detectable and can be monitored to determine any deterioration that may occur overtime. A Helium leak detection unit or Helium mass spectrometer is an instrument commonly used to detect and locate small leaks in a system or device. Operating a Helium leak detection unit is not difficult, but you must understand how the process works to insure the reading is accurate. The Helium leak detection unit will create a vacuum inside the product you are testing. Helium is then sprayed over the outside of the part (a very low volume of He). If Helium is detected on the outside of the system or device, the Helium Leak Detection unit will alert you and enable you to pinpoint the area of failure. There are two main leak testing methods, which include Vacuum Testing and Pressure Testing. 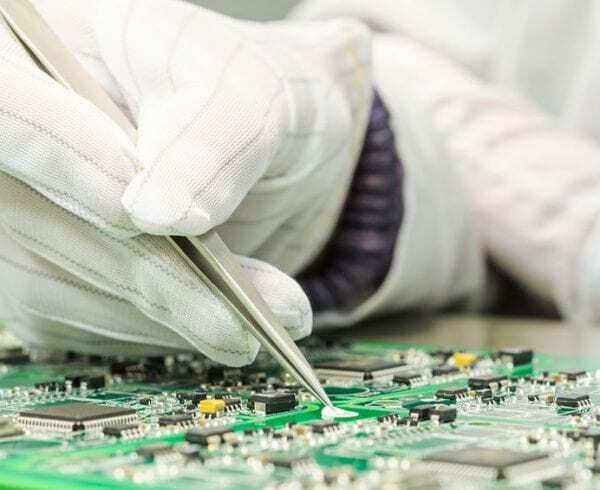 The appropriate leak detection method depends on the working conditions of the product being tested, and the pressure conditions used during testing should reflect the conditions that will exist when the product is in use. In vacuum testing, the product is tested from the outside-in. The device is first evacuated, and then Helium is sprayed on the possible leak site. 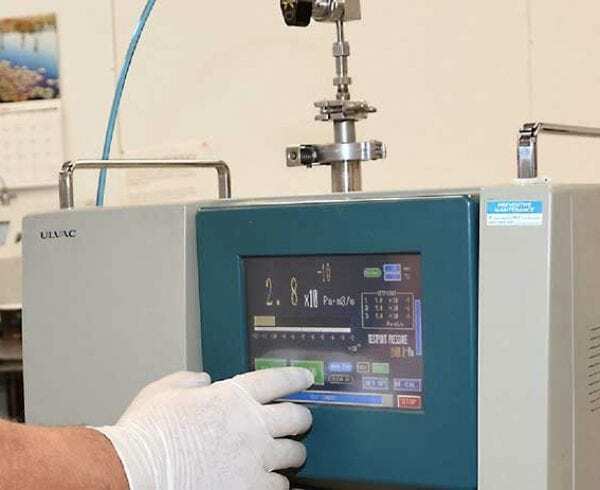 Any Helium detected on the inside of the device after the test is complete would therefore confirm the leak, indicating the need for a repair. 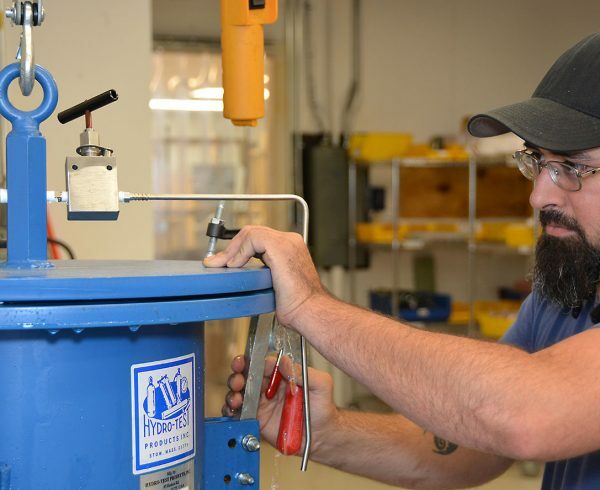 When performing pressure testing, the product is tested from the inside-out. The device is first pressurized with Helium, or with a combination of Helium and Nitrogen. Using this method, each of the product’s possible leak sites are scanned with a Sniffer Probe, which is connected to the leak detector and will alert the user to any confirmed leaks. In order to assure quality results over time, it is also critically important to maintain the Helium leak detection unit. Annual services by the manufacturer as well as weekly and monthly inspection of the unit will confirm it operates correctly. Calibration of the Helium leak detection unit should be done often and is a straightforward process. 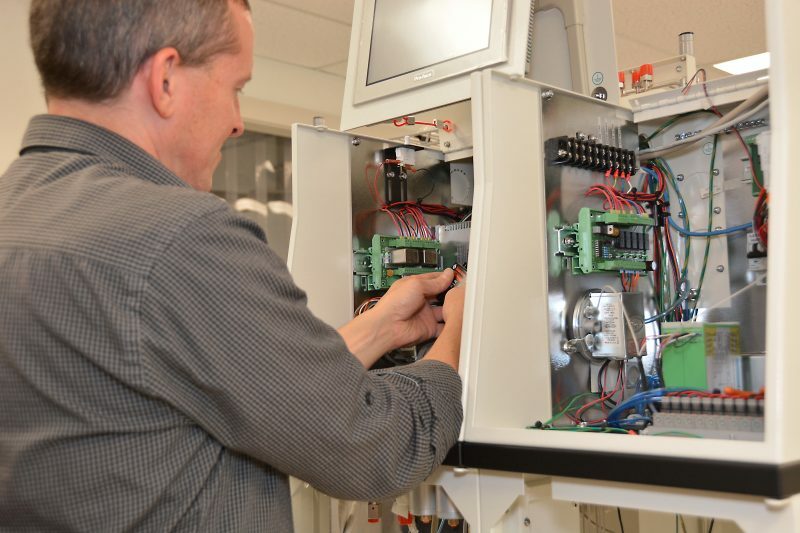 Testing for leaks prior to placing a device within a manufacturing system ensures improved consumer safety, in addition to saving time and costs associated with having to remove the system and repair leaks after the fact. Contact Axenics to find out more about our Helium leak testing capabilities and equipment. The website can only go so far. Schedule a tour to see our facility first hand and learn about our capabilities, capacity and expertise. My workplace is getting our equipment tested for leaks soon and it’s interesting to know what goes into that. Helium leak detection is certainly an interesting method for finding leaks in a system, and I especially like the pressure testing method. I think that testing from the inside-out is the best method, as you described, and I’d love to see a Sniffer Probe in action.